April Deanne Wright, age 40, went to be with her Lord and Savior Jesus Christ surrounded by her loving family on Friday, October 5, 2018 at Parkview Memorial Hospital, Fort Wayne. She was born November 25, 1977 in Columbus, Ohio to Gene and Carol McBride of Marysville, Ohio. 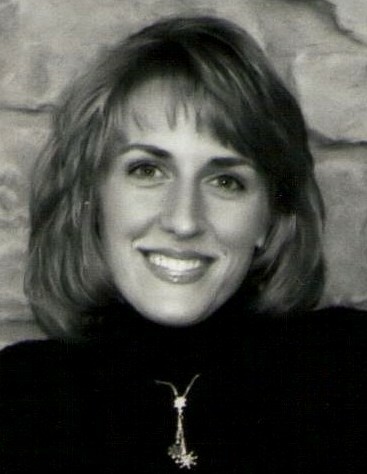 She graduated from Marysville High School in 1996 and Mount Vernon Nazarene College in 2000. Upon graduation, she worked for the Union County Department of Job and Family Services and was an active member of the Marysville Church of the Nazarene. April married the love of her life, Terry Steven Wright, on October 16, 2004, and they made their home in Fort Wayne, Indiana. She was a Godly, devoted mother of their beautiful 8 year old daughter, Emma Elizabeth whom she had the pleasure of homeschooling. She was a faithful member of the Grace Point Church of the Nazarene. Her greatest desire was that people would experience the joy and peace of knowing Jesus Christ as their personal Lord and Savior. She is preceded in death by her father and mother-in-law, Morton and Rosalie Wright; maternal grandparents, Rev. Max and Wanda Case; paternal grandparents, Harold and Norma Forry; and uncle, John McBride. Along with her husband, daughter, and parents, April is survived by her grandmother, Geneva Case of Marysville, Ohio; brother, Rev. Harold “Gene” (Marianne) McBride of Pioneer, Ohio; and brothers and sisters-in-law, Renae Wright of Charlotte, North Carolina; Jerene (Bob) Childers of Huntertown, Indiana; Delain (Rebecca) Wright of Whitinsville, MA; Janel (Sam) Badiac of Fort Wayne; Kurt (Deb) Wright of Matthews, North Carolina; and Kent (Lori) Wright of Huntertown. April will be sadly missed by her many nieces, nephews, aunts, uncles, cousins, and friends. Visitation will be held Sunday, October 7, 2018 from 2:00 – 4:00 PM and 7:30 – 9:30 PM at Grace Point Church of the Nazarene, 8611 Mayhew Road, Fort Wayne. Funeral services will take Monday, October 8, 2018 at 10:30 AM at Grace Point Church with Pastor Kent Wright officiating. Burial will follow at Concordia Cemetery, Fort Wayne. In lieu of flowers, memorial donations may be made to Grace Point Church or Parkview Hospice.